Renowned ceramic artist Karen Karnes has created some of the most iconic pottery of the late twentieth and early twenty-first centuries. The body of work she has produced in her more than sixty years in the studio is remarkable for its depth, personal voice, and consistent innovation. Many of her pieces defy category, invoking body and landscape, pottery and sculpture, male and female, hand and eye. Equally compelling are Karnes's experiences in some of the most significant cultural settings of her generation: from the worker-owned cooperative housing of her childhood, to Brooklyn College under modernist Serge Chermayeff, to North Carolina's avant-garde Black Mountain College, to the Gate Hill Cooperative in Stony Point, New York, which Karnes helped establish as an experiment in integrating art, life, family, and community. 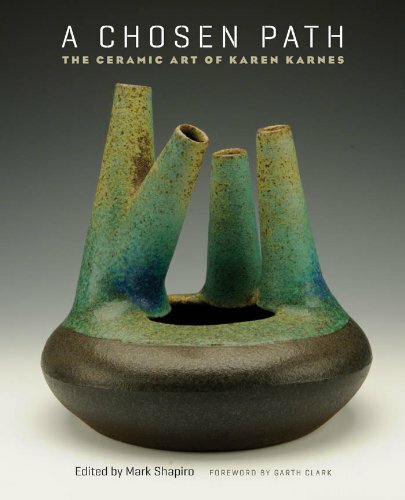 This book, designed to accompany an exhibit of Karnes's works organized by Peter Held, curator of ceramics for the Arizona State University Art Museum's Ceramic Research Center, offers a comprehensive look at the life and work of Karnes. Edited by highly regarded studio potter Mark Shapiro, it combines essays by leading critics and scholars with color reproductions of more than sixty of her works, providing new perspectives for understanding the achievements of this extraordinary artist. |Renowned ceramic artist Karen Karnes has created some of the most iconic pottery of the late twentieth and early twenty-first centuries. The body of work she has produced in her more than sixty years in the studio is remarkable for its depth, personal voice, and consistent innovation. This book offers a comprehensive look at the life and work of Karnes. Edited by highly regarded studio potter Mark Shapiro, it combines essays by leading critics and scholars with color reproductions of more than sixty of her works, providing new perspectives for understanding the achievements of this extraordinary artist.